Our client, age fifty-five and an unemployed actor, was going through a tough patch in life. One of his best friends had recently committed suicide and his wife was suffering from a tenacious form of rare cancer. He was not thinking straight. In a Nutshell: Marina Del Rey, client steals $59 ink cartridge from Costco, case dismissed after diversion, Airport Courthouse, client not a U.S. citizen. 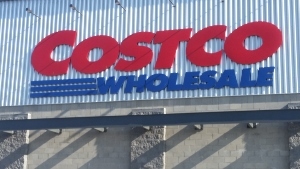 Our client went to a nearby Costco in Culver City and grabbed a printer ink cartridge that he needed at home. Without paying for it, he walked out of the store. Within twenty feet of exiting the store, a loss prevention officer from Costco stopped our client. Costco uses “secret shoppers” to monitor shoplifting at its stores, rather than video surveillance. Our client was then escorted to an upstairs office, where he was asked about his conduct. Our client was confused and decided not to say anything. He had only a minor past criminal record. The Culver City Police Department reported to the store and cited our client for violating Penal Code § 484(a) (“Petty Theft”). The police did not arrest our client and take him to the station to be booked. Instead, they had him sign a promise to appear in court at a later date specified on the ticket. The District Attorney’s office at the Airport Courthouse then filed a criminal complaint against our client, alleging a single count for a violation of Penal Code § 484(a). The client then retained Greg Hill & Associates. Greg Hill met with the client and discussed the facts. The client was extremely worried about serving jail time, as he could then not care for his sick wife. The client commented that he did not know what came over him when he was in Costco, explaining that his personal life had been in chaos recently. Greg Hill had the client complete an online shoplifting prevention program offered by Tom Wilson Counseling Center. The client then provided Greg with the certificate of completion of this prior to the arraignment. At the arraignment, Greg then discussed the case facts with the handling District Attorney in court, showing her the online shoplifting prevention certificate of completion and explaining the client’s recently tumultuous personal life. Greg had dealt with this particular District Attorney many times in the past and enjoyed good rapport with her. The District Attorney commented that, normally, diversion in a shoplifting case is reserved for a youthful offender (less than 23 or 24 years old), but because she understood the aberrant nature of the case and that the client seemed to be motivated to get control of his life, she would grant diversion. This was quite lucky for our client and Greg thanked the prosecutor. The terms of diversion were that the client would perform 40 hours of community service and the case would be dismissed after six months if the client remained out of trouble. The client then quickly performed the community service near his home and, six months later, the case was dismissed. The client was very happy that he avoided a conviction for a crime of moral turpitude, as he was not a U.S. citizen.